The more things we have, the more things there are to break. At one time, there is no doubt about it, it was the simple life. I went to do a backup today of my PC computer onto my external hard drive, and low and behold, the backup hard drive would not work. I only use the external hard drive to do complete backups, and hardly ever turn it on. However, when I turned it on this time, I heard a very strange loud motor noise. I turned the hard drive off, and noticed when I turned it side to side, there was a clunking sound coming from inside the drive itself. This obviously was not a very good sign. The external hard drive is basically an internal drive with an external case around it. The HD was a Seagate Barracuda, 500GB PATA IDE drive, inside a SimpleTech case. When I pulled the hard drive out of the case, and then disassembled the HD itself, I found that the motor shaft had sheared off the platters section, and all the four platters were still locked together, but the spindle section itself was separated from the motor, and was loose. Keep in mind, failures eventually will happen on any device, and the SimpleTech Seagate drive has been very dependable for three years or more. This can happen to any drive and I do have experience with other internal drives dying on me too. So, I did not feel comfortable without having a backup of this computer, and ran over to Costco to get another HD drive. I got a pretty good deal on a 500GB Ultra Portable Hard Drive for $60.00 plus tax. Yes, I could have gotten a much bigger drive, but I wanted to do more research in this area of large hard drives before spending more money, and this drive provided a backup bridge so to speak. The new external hard drive is actually pretty cool in that the drive comes with a desktop USB dock and a separate USB cable, along with a small protective soft case for storage. 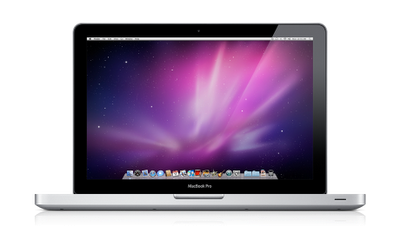 It also comes with backup software and other software that is both Apple Mac OS X operating system 10.4.11 or higher; 10.5.8; or 10.6.2 and PC Windows XP, Windows Vista, or Windows 7 operating systems. The portability of the drive is nice in that it does not require a power cable. The drive gets all its power directly through the USB 2.0 plug. I already had Acronis backup software [ Acronis Backup Software ] installed on my PC, and even as I write this from that PC, I am doing a complete backup to the new external hard drive. I will be feeling much better once that gets done. I have come to the conclusion, you can never have too many backups. In fact, it is good to have a backup of the backup, and then if you want to go further, store it in a firesafe, or better yet, store one of those backups off site. I am still a bit reluctant to use online backup file storage at this time, though there are merits to doing that too. I am very happy to report that the computer is backed up. Now I am thinking I should upgrade the internal hard drive to a SATA 1 TB and remove the two old PATA drives (C and D drive), using one of them in the old SimpleTech enclosure, since that enclosure is set up for PATA IDE drives. Note, my computer MOB is new enough that it has the PATA connectors built into it. Maybe I might even consider changing from Windows XP and loading in Windows 7. Or, maybe I should get a 2TB drive and make it dual boot, or maybe a tri boot with Linux, or maybe even consider making it a quad boot to Google Chrome operating system. Oh my, the possibilities are endless! After I completed the backup, I started thinking about my wife’s computer, and the backup that was on the backup drive, which was no longer viable. I had some extra PATA drives, and decided to try installing one of the extra drives in the chassis of the SimpleTech box, even though I have a SATA and PATA to USB internal hard drive desktop adapter. I am happy to report, it worked. So, with that in mind, I now did a fresh backup of my wife’s computer. I would really be in trouble if something happened to hers. As I always say, you can never have too many backups. My PC friends probably think I am crazy, but the weight of the decision of why I purchased an Apple MacBook Pro fell on five key points of comparisons to other laptop computers. My notebook story begins with searching for a good quality, fast speed, good display screen, a comfortable track pad, good software, ease of use, long life battery, ability to do videos and pictures well, but low priced netbook or small laptop for mobile/portable/travel use. I quickly found that there is no such creature like this. I stopped in over at Fry’s and started playing with the various new Windows 7 Netbooks from Acer and MSI. At first glance I wanted to really like these netbooks, but it was only a short lived infatuation. There were more than a few barriers to taking these netbooks from a foolish liking to an in-depth affection. For one, they were small. Now, that may be good in one aspect for portability, but for another aspect of screen size, it was very difficult to get comfortable with the small screen size. Those of us that are requiring reading glasses are sure to find these screens are much too small. Sure, the price was low at around $350.00, but look at what you are getting for that. With these netbooks, this really is a case of getting what you pay for. Slow processor speeds, low memory, no dvd/cd drive, and a new operating system with Windows 7 that is all déjà vu. The Windows 7 operating system loaded on these netbooks feels like an upgraded version of Windows XP, with things moved around a bit and other things very difficult to find. Of course, this is the dominate format for these netbooks. Simple things like how to change the icon sizes on the desktop took me 10 minutes to find. And, that was after I spoke with the sales people, though that brings up the topic of the sales people may not have the best of training either. That’s another story. In any case, three of the sales people that I spoke with could not figure it out. It wasn’t located in the Windows 7 control panel area, as one would think. Finally I did what would be a right click with a mouse on the desktop, though I am not sure how I did it with the netbook trackpad, but I was able to change the default icon size to a smaller size. Speaking of touchpads or trackpads, I have grown up on a mouse in the house for both PCs and Macs. So, this really was my first time investigating and comparing track pads. The trackpads on these netbooks and mini laptops seemed to be engineering afterthoughts. Actually, they lacked quality engineering and no consumer testing. The one that bugged the heck out of me the most was the trackpad on the MSI mini laptop. It felt like sandpaper on the tips of my fingers after playing with it for 10 minutes. Actually, I ended up pulling another customer over and asking him what he thought of the touchpad. His thoughts were exactly the same as mine. The trackpad had a very textured finish that was not comfortable to the touch. I can only imagine what it would be like after navigating with this trackpad for an hour or so. I would have to put Band-Aids on my fingers. Definitely not a very good touchy-feely experience. So, I decide that maybe I needed to move up in price and screen size. I moved up to the mid range for laptops. However, there seemed to be a void in the size from the 8.9 inch – 11 inch version mini laptops to the 15 inch larger laptops. Price started going up significantly as I wanted a more powerful laptop that could do various types of mult-tasking, and still stay with a useful but compact size. Next thing I knew, I was up around the $700.00 price tag. But, still I had issues with trackpads, and the lack of ease of use. So, I ventured over to the Mac table. Being an equal opportunity user of both Windows PCs and Macs and am well versed in both the PC and Mac land, having owned many versions of Windows PCs and an iMac G5 for a number of years. I have also had the opportunity to have hands on experience by having friends allowing me to play with their MacBooks for various applications. When I went over to the Mac table, it was a breath of heaven to feel and touch the new MacBooks. The first thing that stood out to me was the ease of use. The trackpads are very very easy to use. Having a Multi-Touch Trackpad that is large, smooth, extremely powerful, two finger scroll capable, two finger pinch zoom capable, two finger rotate, and even two finger right click or secondary click capable with the full complement of right click commands available. Additional trackpad features include three finger swipe navigation to go forward or back in browser history, four finger swipe left to right to switch applications, or four finger swipe up down for exposing the open applications. You can even set the one finger to tap to click, dragging, drag lock, and secondary click to bottom left or bottom right corner. Track speed, double-click speed, and scrolling speed can all be individually adjusted to just the way you want them. With this MacBook Trackpad, you will quickly find out that a person can go from using a mouse to very easily using the Multi-Touch Trackpad in no time flat. Another aspect of the MacBook that makes it a joy to work with, is the ease of use of the Mac OS X Snow Leopard. While any new software will take time getting use to, the learning curve for the Mac OS X is very fast. I think part of the reason for this is the intuitiveness of how the things are laid out. Apple also has some very good quick training videos that are quite helpful. Take a look at some of the Mac tutorials on how to do things. Mac OS X Snow Leopard operating system is a pleasure to work with. It is very intuitive, which makes for a very easy transition to go from working with a Windows based machines to a Mac based operating systems. Of course, I am a bit biased in this area, since I have been using both Windows and Mac machines for quite some time. Never the less, some friends of mine who had been with Windows their whole lives, recently made the switch to Mac, and the operating system switch proved to be a very easy transition for them. The high quality of the Apple MacBooks can not be overstated. Everything fits together like a form fitting glove. The opening of the screen display has just the right amount of hinge tightness. As I stated before, the trackpad is very smooth, and seems to just fit perfectly for your hands and fingers on the keyboard area. The keyboard has automatic backlighting, which in dim environments is great for quick reference. 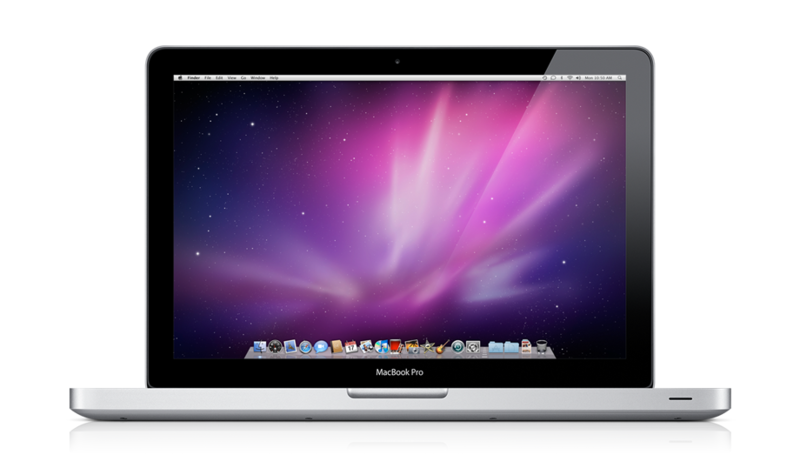 The MacBook Pro comes in a very sleek, 1.08 inches thin, aluminum unibody construction. I bought the 13.3 inch MacBook Pro with the glossy widescreen display. This for me was the perfect fit for size and portability, but has plenty of desktop space with a screen of 1280-by-800 pixel resolution, made this one the ideal laptop solution for viewing documents, web sites, videos, and pictures. The weight of the MacBook Pro 13 inch at 4.7 pounds is very manageable. It easily fits into a briefcase or backpack. I also suggest a carrying case to protect your MacBook. I decided to go with the Incase Nylon Sleeve Case for the Apple 13 inch MacBook Pro. The MacBook Pro fits perfectly in this padded case and provides extra storage areas on both sides for accessories. The case and the MacBook Pro worked out perfectly for a recent vacation trip from California to Florida with several layovers. The case added the extra protection and allowed me to quickly place the MacBook in my carryon suitcase, and quickly remove it for airport security checks. The case also comes with a removable shoulder strap and is available in three colors, black, graphite, and mustard. The MacBook Pro is such a pleasure to use for all aspects of computing. For example, when it comes to viewing video on the screen, it is second to none. The display is rich in color, bright, and vivid to look at. Movies are cool to watch and when it comes to catching up on your television shows like Flash Forward episodes, it is incredible to watch it on the MacBook. It’s as though watching it on the MacBook Pro is better than on the TV screen. The stereo sound quality from the computer is great too. The audio level has decibels of sound to spare. You can actually make the sound too loud for others in the room. Forget trying that with any other netbook. With the built-in iSight camera and microphone, doing a Google Video Chat was simply amazing. The camera and built-in microphone worked great together. I was able to use the camera in both low light and regular lighting conditions. The chat session was perfect. There was no audio feedback and the person on the other end said the audio and video were perfect too. I typically like my screen brighter than 50%, and was able to generally get about 5+ hours of battery usage on three battery cycles. However, I was playing videos, browsing the Internet through wireless connections, and searching for other wireless Internet connections during this time. The charging plug is held in place with a super strong magnet, which if someone catches the cord will simply pull the connector off the MacBook without pulling the MacBook down to the floor. Definitely a great safety feature. the charger is very compact, and fits nice and flat inside one of the Incase pockets I bought for the MacBook Pro. The MacBook Pro 13 inch that I purchased has the 2.53GHz Intel Core 2 Duo processor, 4GB (two 2GB SO-DIMMs) of 1066MHz DDR3 SDRAM; which supports up to 8GB of memory, 250GB Serial ATA; 5400 rpm hard drive, and 8x SuperDrive (DVD±R DL/DVD±RW/CD-RW). Read more about all the MacBook Pro features today. By the way, if a person really wants to have their cake and eat it too, in the form of Windows 7 on their MacBook, there is another feature that lets a person load any operating system they wish. Boot Camp is a utility included with Apple Inc.’s Mac OS X v10.5 "Leopard" and v10.6 "Snow Leopard" operating systems that assists users in installing Microsoft Windows XP, Vista or 7 on Intel-based Macintosh computers. Boot Camp guides users through non-destructive re-partitioning (including resizing of an existing HFS+ partition, if necessary) of their hard disk drive and using the Mac OS X Leopard disc to install Windows drivers. In addition to device drivers for the hardware, the disc includes an applet for the Windows control panel for selecting the boot operating system. In addition to Boot Camp, there are other avenues that are also available such as, VMware Fusion 3 and Parallels Desktop that provide the means of loading Microsoft Windows and other non Windows operating systems such as Linux OS onto the MacBook computers. Both VMware Fusion 3 and Parallels Desktop are helpful software applications that allow folks to run Windows applications directly and concurrently on their MacBooks and quickly switch between the two. There is also an open source software, VirtualBox, available from Sun. VirtualBox is an x86 virtualization software package, originally created by German software company Innotek, now developed by Sun Microsystems as part of its Sun xVM virtualization platform. It is installed on an existing host operating system; within this application, additional operating systems, each known as a Guest OS, can be loaded and run, each with its own virtual environment. I have to say that the MacBook Pro is really a great all purpose laptop computer for business, school, and personal use. With ease of use, superb quality, immense versatility, and an awesome form factor, the value of this MacBook Pro computer is outstanding. You won’t want to leave home without it! Checkout the online Amazon Apple Store deals today. Jim Warholic is President of Professional Web Services, Inc., an Internet Marketing Services firm specializing in B2B and B2C Internet marketing, SEO services, online advertising, and online branding strategies. 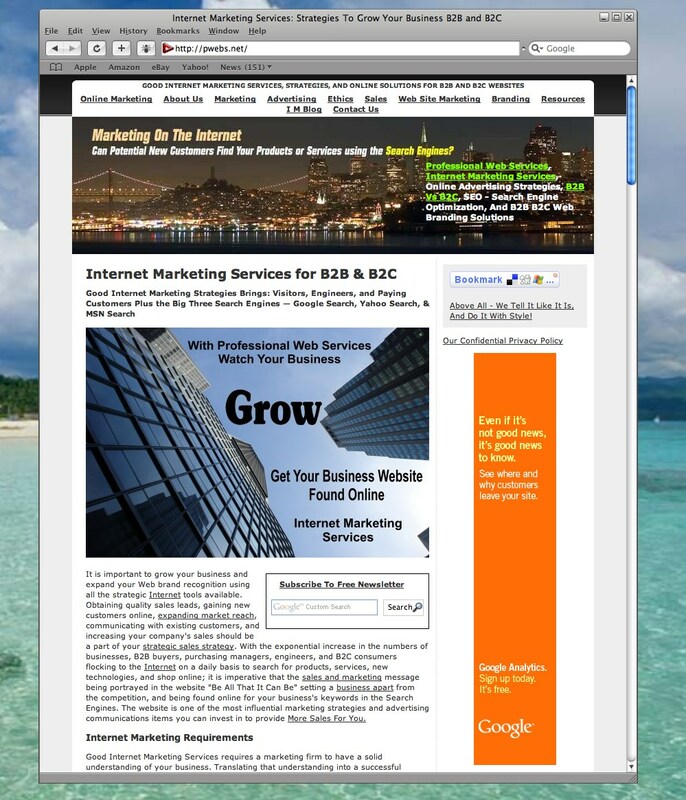 Contact Professional Web Services today. I gave Apple a second chance with Safari for Microsoft Windows environment. Check out the screen shot of Safari with our Professional Web Services website. I am pleased to report, that the partial menus problem is not the case anymore. After seeing a notice that an update to fix the font issue in Safari for Windows was available to download from Apple, I downloaded the new installer program. I believe this is if you have previously installed Safari and used his fix on the previous version. See the comments below from Jared. His instruction is as follows: ‘unset read-only on the “Fonts.plist” which is located in “C:\Documents and Settings\%USERNAME%\Local Settings\Application Data\Apple Computer\Safari” on Windows XP and “C:\Users\%USERNAME%\AppData\Local\Apple Computer\Safari” on Windows Vista.’ See comments. I personally like to have the status bar on at the bottom of the Safari program when running. The user can turn this on or off depending on their preferences. Go to the View menu and select Show Status Bar to have the bottom of the browser display information such as when your cursor is placed over a link, the status bar will display the link location. If you want to have the Tab bar always displayed, simply select view Tab. The tab bar is nice to have because you can right click on the existing tab and open a new tab for another website or a fresh Search Engine search. I know Apple has a thing with their Silver Surfer brand image, but I would like to see some colors for the Safari browser. However, with that being said, the Safari browser is kind of cool looking, with their elegant rounded slide scroll bars on both the bottom and right side. From a web developer’s standpoint, it’s always a good idea to know how your website displays on other browsers. Also, from an Internet marketing standpoint, you will want to know how your business website shows up on other computers, operating systems, and the various browsers online. Quite a number of browsers are available besides IE such as: Firefox, Google Chrome, Safari, Internet Explorer, Opera, Camino, SeaMonkey, Flock, and others. Jim Warholic, President Professional Web Services, Inc.